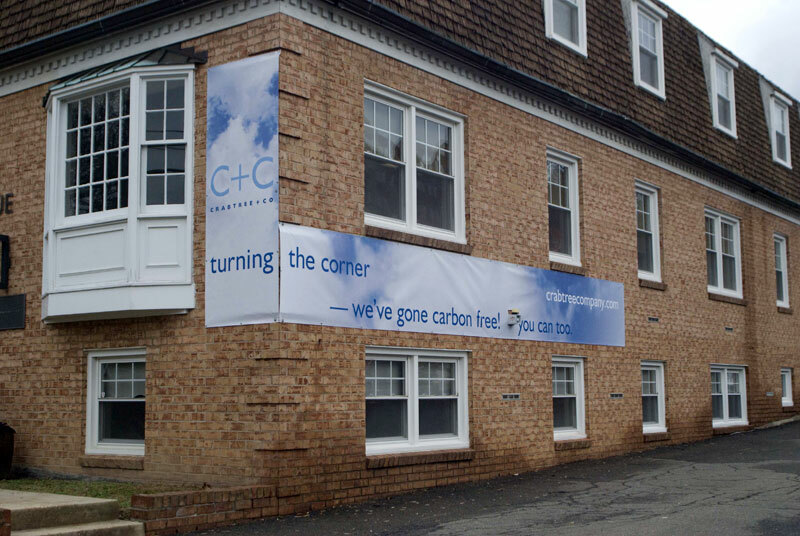 In response to global warming, some Falls Church residents are stepping up efforts to “green” their homes and workplaces to combat the 21st century challenge. The highest accreditation such a project can earn is LEED (Leadership in Energy and Environmental Design) certification, standardized by the U.S. Green Building Council, a non-profit business organization. A LEED certified home or office can attain one of four levels of LEED standards: Certified, Silver, Gold and Platinum – each level honing another or more strict environmental safeguard based on a point system. As a proud “West Coast” environmentalist, new Falls Church resident and environmental educator Anjali Hansen has joined environmental groups that champion efforts curbing global warming, including the U.S. Green Building Council (USGBC), which manages LEED professionals and certification. 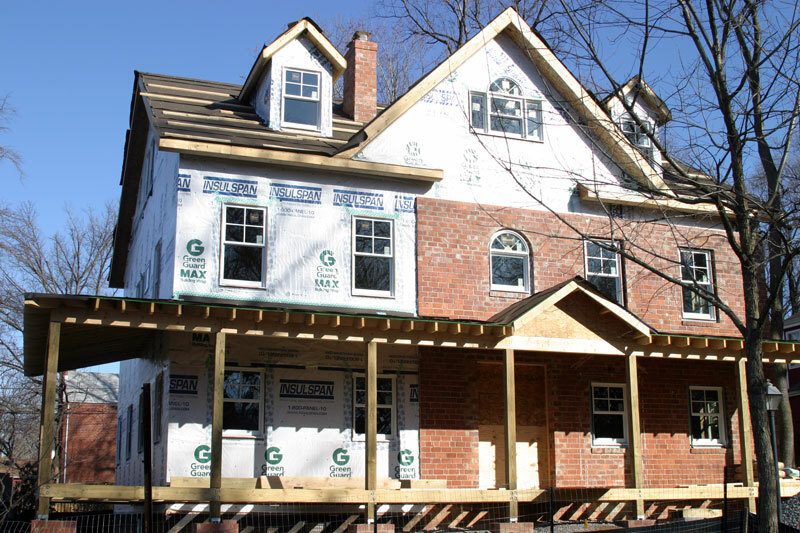 Hansen has partnered with My Green Cottage, a nationwide green home designer based in Reston, to bring the first LEED-certified home to Falls Church. Hansen and her family moved to Falls Church after one of her sons graduated from middle school, which “at that particular time made it easier to move,” she says. The Hansens found a small postwar brick house at 1011 N. Tuckahoe St. in Falls Church, just blocks away from the East Falls Church Metrorail station. “You get LEED points for being in an already developed neighborhood and near transportation, which reduces your carbon footprint,” says Hansen. The LEED show house, which will double as Hansen and her family’s residence, is “well into Gold territory,” says Hansen about the home’s ongoing construction. All of the materials from the house will be reused in some way, explains Hansen. “Almost nothing goes to the landfill, or at the very least, we try not to.” They donated the old appliances, recycled wood and incorporated spare bricks in the expansion of the house, which widened the base and added another floor. For more information about constructing a LEED home, contact Hansen at anjali@hansen.name. Falls Church area developer Robert Young, of the Young Group and Jefferson One LLC, is adding the finishing touches to the so-called “flower” building at 800 W. Broad St. in Falls Church – the city’s first and only LEED Gold commercial property. Young hopes to bring “leadership in the way of demonstration” to greening the city’s new additions. Young says the decision to go Gold “made a great deal of sense from a financial point of view,” when a potential tenant would only move in if the building were LEED certified. Fortunately, Young’s architect, Jack Wilburn, already designs “practically at LEED specifications. With a meticulous review of the site plans by LEED professionals and an application for LEED certification, the “flower” building added an on-site shower and bathroom for employees biking or running to work to further comply with Gold standards. “When they start to see that tenants who want to move in will only come if the building’s LEED certified, they’ll change,” says Young of other developers in the area. Young noted that in the “flower” building tenants can choose to LEED certify their own spaces, even superseding the building’s specifications and reaching LEED platinum. Taking the initiative will pay off in the long run, Young predicts, as more businesses will be required to attain at least LEED Silver, one step below Gold, in the coming years. He hopes 800 W. Broad St. will “encourage other developers to get” LEED certification, but says that it will likely be a “top-down” approach, with the federal and city governments requiring LEED before approving contracts and permits. Like a home retrofitted to energy efficiency standards, a business doesn’t necessarily need LEED certification to reduce its carbon footprint. The environmentally-conscious operation at Falls Church’s marketing group Crabtree & Company is a prime example of a nature-friendly, carbon-cutting business. Lucinda Crabtree, the company’s founder and CEO, celebrated Crabtree & Company’s 25th anniversary last April, and the year-long theme is “a year of giving back,” says Crabtree. “We’ve always had an affinity for the environmental arena,” Crabtree explains. Part of the anniversary project has been making the company “carbon free” and tracking the process on the company’s blog. LEED fitting for a decades-old office building like Crabtree & Company’s, which the firm bought in 1999, would have been difficult within the existing structure, says Crabtree, who, along with husband and business partner Stu McMichael, strategic planner Rick Lesaar and the company’s staff, implemented a green plan of their own. According to McMichael, the small Park Avenue space has installed 63 brand new “duplex glass” windows, reduced electricity consumption, spearheaded a paper and plastic recycling program in the office and collected old food byproducts for composting, among other initiatives. In addition, four employees carpool together, and others take the Metro system and bike often.